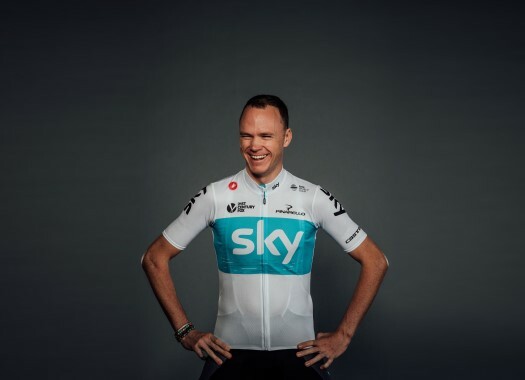 Chris Froome (Sky) arrived safely to the finish line of a stage that turned out to be more chaotic than expected because of the winds, combined at the final kilometres with dangerous roundabouts. The Briton trails race leader Rohan Dennis (BMC) by 38 seconds in the general classification and the objective of his day was accomplished despite the conditions. "It was quite a relaxed start but it wound up to be quite a stressful final," he said to TeamSky.com. "Obviously with the tailwind, it was really high speed and quite dangerous racing." The stage was won by Quick-Step Floors' Elia Viviani after a chaotic finale that turned out to be quite dangerous. "Everyone wanted to fight for the front in the final," Froome explained. "We all knew that the roundabouts and the U-turn ahead of the final kilometre would be key moments, and potentially where splits would happen, so we all wanted to be on the right side of those. "It was a big fight coming into the final but the guys did a great job keeping me up front. Now I’m just looking forward to a rest/travel day tomorrow before we head to Sicily and start some proper climbing again."